The Cleveland Metroparks Zoo ­- just about everything one could ever ask for! 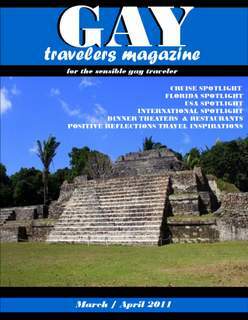 Check out our new TRAVEL PHOTOS blog! ​Retire Abroad? Think Real Hard! is a must-read book for anyone who is thinking about retiring to a foreign country. TV shows and magazines make it look easy to sell everything, pack a suitcase and show up in some exotic country where retirees can live less expensively happily ever after. But the reality is that it takes a lot of time and effort to divest oneself of a lifetime of accumulated possessions. Buy it now on AMAZON! I have been an avid film fan for almost my whole life and I look forward to sharing with you readers my opinions, observations, thoughts and musings on some of my favorite movies and how they’ve influenced me. 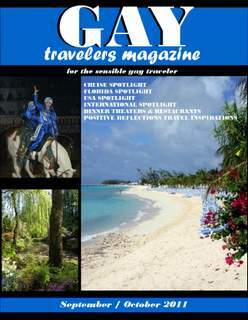 Visit our Gay Travelers Magazine BLOG for up-to-date deals, specials, travel info and news!